Dr. Rut Diamint is a professor of Political Science at Torcuato Di Tella University and researcher at the National Council of Scientific and Technological Research, based in Buenos Aires, Argentina. 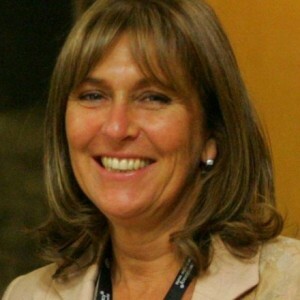 An expert on civil-military relations, she has served as Chief of Cabinet and Advisor to the Argentine Ministry of Defense (2004–2005), has held research positions at Florida International University (2008) and Columbia University (2001), and coordinated projects on defense, political leadership, and democracy for the Ford Foundation and Open Society Foundation. Dr. Diamint has featured as an instructor at the Raphael Lemkin Seminar for the Latin American Network for Genocide and Mass Atrocity Prevention since its inception. What inspired you to enter the field of genocide and mass atrocity prevention? I lived as a citizen for 16 years under military dictatorships that committed atrocities against the defenseless civilian population. These governments were responsible for creating fear, impunity, and a lack of liberty. As an academic, I searched for responses in order to ensure that these situations don’t repeat themselves, dedicating the majority of my activities to studying the armed forces and the responsibility of society to manage and control defense policies. The oppressive history that I lived, especially during my youth, has driven me to involve myself in this work, both personally and professionally. Which long-term actions and/or policies do you feel are the most effective in the prevention of mass atrocities? Access to information and the genuine capacity to analyze facts are necessary tools to alert us to forms of discrimination that can become policies promoting genocide and crimes against the civilian population. It is necessary to develop training programs in what is known as the Rule of Law, namely, for nations to find in their legal system the most powerful instrument to regulate the conduct of officials and citizens. Every time that we allow social rifts to form, reject diversity, or end the exercise of pluralism, we advance one step further towards segregation, stigmatization, and capriciousness. The State is responsible for promoting the protection of these liberties and social actors are responsible for broadly disseminating them and demanding accountability from authorities. Therefore, the concept of accountability is so important in preventing governments from acting with partiality and impunity and being able to attack certain sectors of the population. What advice would you give to a new government official who has just entered the field of genocide prevention? Every government official has to stop acts of discrimination in his or her field of work and, at the same time, disregard his or her own limitations in accepting diversity. The notion of a public servant is not widespread among Latin American officials. The State is appropriated by them, or, at the very least, there is an attempt to seize political space. This concept of civil service, that is, working to serve the population and not one’s personal interest, is not correctly understood or interpreted by the Executive Powers, nor is it by the Armed Forces and Security Sector. I am motivated by the hope that future generations will live in democracy, trust in democracy, and feel like citizens of a global civilization that benefits from democratic practices.